You know you’re going to age, and fine lines are often the very first signs of aging that you will notice. These often creep into the area around your eyes first, then you may notice them surrounding your lips. This week, learn more about what fine lines are, how they occur and what you can do to help prevent these first signs of aging. Vine Vera Reviews.com starts this week by taking a look at the anatomy of your skin. In order to most effectively care for your skin and diminish fine lines, you need to first understand the structure of your skin and how it works. Learn more about the anatomy of your skin so that you are able to take the best care of your skin. 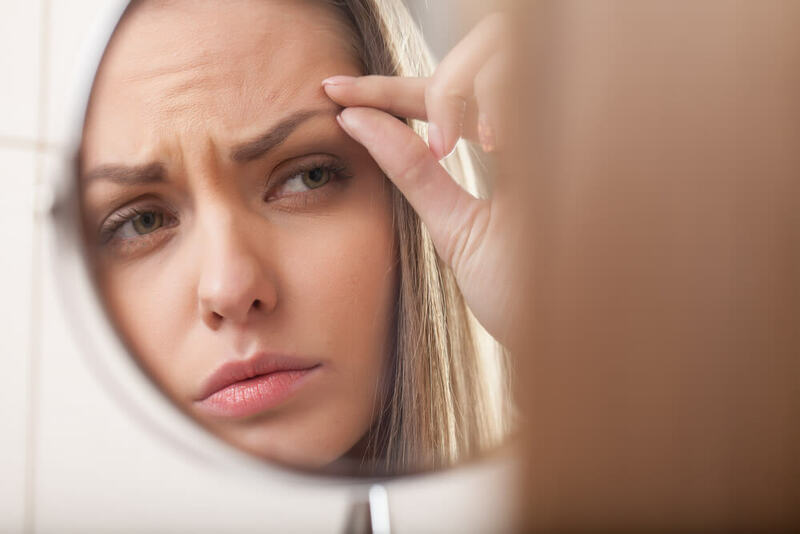 When it comes to aging, there are different types of facial lines to be cared for, but if you don’t know what type of facial lines you’re dealing with, it can be difficult to properly target and treat these lines. Learn what various types of facial lines are and how you can combat them. Finally, Vine Vera Reviews looks at nasolabial folds and what you can do to reduce them. On Vine Vera this week, you will learn how to best diminish fine lines. Skin care is perhaps the most important aspect in fighting fine lines and wrinkles, but you can also help diminish the appearance of fine lines with your makeup. Learn tips and tricks to diminish fine lines with proper skin care and makeup this week on Vine Vera. Topical treatments are definitely effective for reducing fine lines, but there is a way that you can essentially remove early signs of aging: dermal fillers. Visit Vine Vera this week for a breakdown of the various dermal fillers that you can get to reduce the early signs of aging. Makeup can help reduce and diminish the appearance of fine lines, but only if the makeup is still good. Vine Vera WordPress starts the week by taking a look at your most commonly used beauty products and when you should be throwing them away. It may feel impossible to part with your favorite lipstick or that impressive eyeshadow palette, but if you use your makeup well past its intended shelf life, you can end up irritating or even infecting your skin. You probably heard your mother tell you not to make certain faces or your face would stay that way, and in a way your mom was correct. Frowning and pursing your lips are two incredibly common habits that unfortunately are major contributors to fine lines and wrinkles. See why you should skip frowning and lip pursing to keep your skin looking as young as possible. Lastly, Vine Vera WordPress investigates mental creases – what they are, how the happen and what you can do to prevent them. This week on How to Use Vine Vera, discover everything you need to know about dehydration, allergies and sunburn and what these things mean for your skin. Intense Pulsed Light Therapy (IPL) is a non-invasive and non-ablative treatment that is also known as photorejuvenation or photofacial. Find out more about IPL and determine whether this skin care treatment is right for you. No matter how diligent you are with your skin care and anti-aging routine, aging is inevitable and nothing ages a person faster than trying to desperately cling to youth. How to Use Vine Vera takes a look at different strategies to help you age gracefully.